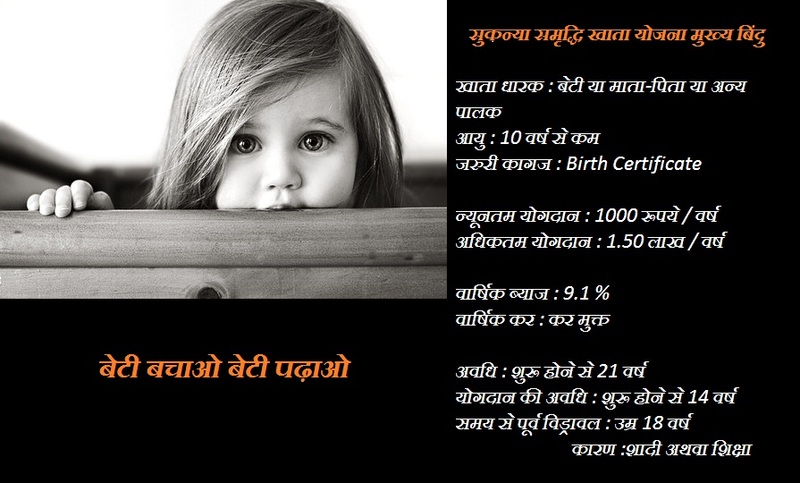 Now that Sukanya Samriddhi Account Yojana is gaining quite popularity across India, there are a lot many curious parents and guardians who are looking for various aspects of Sukanya Samriddhi Account so that they can open an account for their girl child and secure her future. One such aspect of SSA is its withdrawal rules. Withdrawal rules for SSA is quite an important part of the scheme as there is a lot of confusion about this aspect. The scheme clearly mentions that 50% of the amount could be withdraw able after the age of 18 years and rest at the time of maturity. We would discuss this further in this article. In case of unfortunate death of the account holder: In this case, the guardian or the parent would have to furnish death certificate issued by competent authorities, wherein, the balance as well as the interest accrued till the preceding month before the month of closure would be handed over to the parent or guardian of the girl child. The account can also be closed prematurely in case the central government feels that it has become quite tough for the parent or the guardian to carry forward the account. This permission by central government authorities would be issued under extreme compassionate grounds like medical exigencies and life threatening diseases. Since, 100% can’t be withdrawn before 21 years, any girl having this account can take full benefits of this account at the time of marriage or education is only after the maturity of the account. What could be the amount of withdrawal in Sukanya Samriddhi Account Yojana SSA? The above points clearly mention that the withdrawal limit for the account is 50% of the value collected on the preceding financial year after the officials is satisfied that the reasons for withdrawal are genuine enough as mentioned in withdrawal terms and conditions. In normal conditions, the account is matured only after 21 years from the day of opening of the account and the account holder can withdraw the full amount once it gets matured. However, entire amount can be withdrawn at the time of marriage of the girl child and that should be only in case when the girl is at least 18 years of age. The account can’t be operated after the girl child has been married. The statements are very confusing. on one side you are writing that the account should be operational for a minimum period of 14 years for any withdrawal , Secondly you are also writing once that only 50 percent can be withdrawn when girl child is 18 for higher education or marriage and then again you also writing that 100 percent can be withdrawn for the purpose of marriage. Then again somewhere you write that the account will mature and 100 percent can be withdrawn only after 21 years. I totally agree with Sumit. These rules & regulations for withdrawal & premature closure of SSA are utterly confusing. They themselves are giving contradicting statements all through the article. Not sure who would finally provide us with the meaningful rules which makes sense. 1)Deposit can be done by from day 1 till next 14 years . 2) 14years to 18 years :nothing can happen ..only interest will add up on amount deposited in STEP 1. 3)18years –> girl child can withdraw max 50 percet for marriage or higher studies . 4)21 years –>girl can withdraw full amount. 5) if girl dies anytime parent can withdraw money by showing death certificate . 6) if any extreme financial crisis in family , then also money can be withdrawn .